Application Fee : Rs.40/- in the form of IPO / DD in favour of The Assistant Personnel Secretary/ Railway Recruitment Cell, Chennai payable at Chennai. No examination fees for SC / ST / Ex-Servicemen / Physically Handicapped / Women / Minorities / Economically backward classes candidates having annual family income less than Rs. 50000/-. How to Apply : Application in the prescribed format should be send to the Assistant Personnel Secretary/ Railway Recruitment Cell, Southern Railway, IIIrd Floor, No. 5, Dr. P.V. Cherian Crescent Road, Egmore, Chennai – 600008 on or before 18/01/2013. Last date is 01/02/2013 for the candidates from far-flung areas. 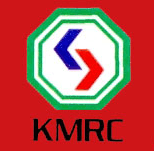 Name of the Government Organization : Kolkata Metro Rail Corporation Ltd.
Pay Scale: Rs. 37,400-67,000 (CDA) & Grade Pay of Rs.10,000. Employment Type: Initially for a period of 5 years on immediate absorption basis. Experience Requirements: (1) At least five years’ experience as Deputy Chief Engineer or Superintending Engineer, preferably in Metro Railway or large construction project preferably underground work. (2) Should have experience in preparation of tender document & its finalization, preferably international contracts. (3) Experience in Planning and Construction and commissioning of multi-disciplinary Railway projects, preferably in urban situations such as Metro/MRTS. (4) Should have experience in contract management and project management of important engineering structures such as bridges/ tunnels etc. (5) Should have experience in land acquisition, 2 rehabilitation and resettlement of Project Affected Persons. Desired Skills: Knowledge of complying with project related requirements of international funding institutions. Last Date: 31st December, 2012. How To Apply: Candidates should carefully read the instructions in this Employment Notice for filling up application form. Candidates may also log on to RRC website i.e http://www.rrc‐wr.com for detailed notification. The incumbent of the post shall be a member of the Board of Directors of DMRC and will report to the Managing Director of the Company. He will be responsible for electrical works related to MRTS project. He will be responsible for planning, designing, execution, procurement and commissioning of traction power supply, electrical and mechanical equipments including ventilation and air-conditioning etc. Educational Requirements: Minimum 10th class pass or ITI or equivalent. Academic qualification must be from recognized educational institution/Board, otherwise candidature will be rejected. Educational Requirements: The candidate should have minimum qualification of matriculation or equivalent examination passed with 50 % aggregate or higher qualification from any recognized Board/University. The condition of 50% marks is not applicable for those with higher qualification. Qualifications: Possession of degree/diploma certificate in specified stream from Government recognized institution for which notification issued. (English/Hindi) signature in running script on the application form at specified place. Thump impression must be given on prescribed place.